Can Tai Chi Slow the Aging Process? All of us get older; this is just a simple fact of life. However, the aging process can differ from one person to the other. 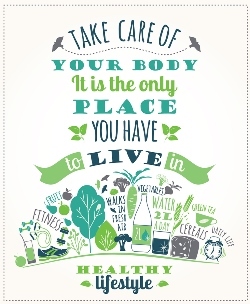 The better we take care of our health, and make healthy lifestyle choices the better the aging process will be. This is a simple fact that is supported by mountains of scientific research. People who focus on prevention early in life can reap the benefits of being more vital, energetic, and healthier as they face their senior years. Tai Chi is a form of exercise that can be used at any age and at any fitness level. This exercise began as a form of martial art but has found profound popularity in the modern world as a form of meditative movement that has great healing energy, helps to reduce pain, boost brain power, improve mind wellness, posture and balance. It also makes a great adjunct to medications used to treat the elderly depressed patient. Can it actually slow the aging process along with its long list of health benefits? A recent study was published in Cell Transplantation, which looked at the benefits of Tai Chi when it comes to the aging process. The study looked at levels of CD34 cells, which are important cells to many of our body’s organs and cellular metabolism. They knew that the numbers of this type of stem cell were important in aging and decided to see whether Tai Chi affected the number of CD34 cells in the body. The study involved dividing groups of volunteers who were under the age of 25 at the time of the study. The participants were assigned activities such as brisk walking, Tai Chi, or no exercise program whatsoever. Youthful participants were studied because they renew cells better than older people do and the study was designed to last for one full year. These participants were free of any type of chronic disease and took no medications during the study period. The study revealed that those participants who studied and practiced Tai Chi on a regular basis had a much greater number of rejuvenating CD34 cells than those who were in the other two groups. With more of these stem cells in the system, it was felt that they could offset the cellular death and decline that goes with the aging process. Researchers were quick to point out that the number of CD34 cells in the body only partially affects aging and that more studies on aging and Tai Chi need to be carried out before it can be determined that Tai Chi actually slows the aging process. So far, Tai Chi has been found scientifically to help people who suffer from chronic pain syndromes, fibromyalgia and Parkinson’s disease—which is usually a problem affecting the aged population. It also helps people improve their balance so they fall less, lessen stress, and reduce blood pressure. Besides the elevation in CD34 cells, things like reduced stress, lessened pain, and blood pressure reduction are known to prolong life and to improve the quality of one’s life. 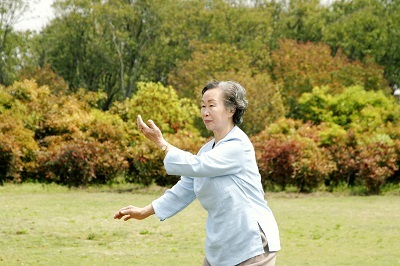 Tai Chi is also known to improve memory in all age groups. A group of Chinese researchers looked at elderly people and their memory performance on memory tests. Those participants who took part in Tai Chi at least three times per week were able to do better on various memory tests after just 8 months of practicing Tai Chi. The researchers compared scores on memory tests between Tai Chi practitioners and those that did not practice Tai Chi and discovered a significant difference in the brain’s ability to memorize things between the two groups. Memory problems are another problem affecting the aged population so Tai Chi may be able to help this population have a better quality of life when they practice Tai Chi. Parkinson’s disease patients, who are for the most part elderly, showed improvements in balance and coordination when they studied Tai Chi and practiced it regularly; they had fewer falls, which could have potentially led to hip and wrist fractures, some of which can lead to an early death. Tai Chi has a long list of health benefits, and supports and promotes mind, body, and spiritual wellbeing. It can be incorporated into any regular fitness routine that also includes aerobic and strength training workouts to yield a well-rounded and highly diverse training program that can support health, wellness, and better aging. In various ways, Tai Chi appears to result in a longer life, and a better quality of life than if the individual didn’t practice Tai Chi. Further studies are necessary to see if there are other ways that Tai Chi can extend life and quality of life.